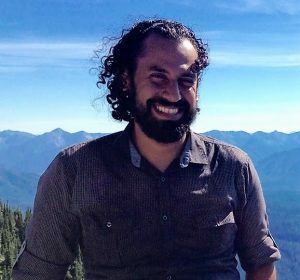 Bahman Abbasi, Ph.D. joins Oregon State University as an assistant professor of mechanical engineering. Before joining Oregon State he worked as a lead technologist at Booz Allen Hamilton and a technical advisor to U.S. Department of Energy with wide-ranging experience in power generation systems, solar-thermal energy, high-temperature materials, light metals production and recycling, and water-energy nexus, among other energy technologies. Prior to that he worked in various industries; including, natural gas pipes manufacturing, automotive, as well as a lead engineer at General Electric. He received his Ph.D. in Mechanical Engineering from the University of Maryland in 2010 with focus on phase-change phenomena and heat transfer, and has authored 20 technical publications including five issued patents. He is excited about mountaineering opportunities in the Cascades, and hopes for a strong basketball season. Megumi Kawasaki, Ph.D. joins Oregon State as an associate professor of materials science. Previously, she was an associate professor at Hanyang University, Seoul, South Korea, where she joined the faculty as an assistant professor in 2012. 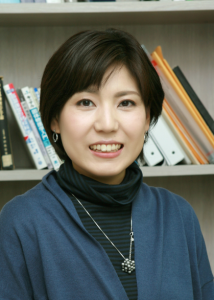 She also held an adjunct research associate professor in Aerospace & Mechanical Engineering at USC (2012-2017) and a visiting researcher position in materials science at the Osaka Prefecture University (2013-present). Kawasaki’s research interests lie in the area of synthesis and characterizing unique properties of hybrid ultrafine-grained metals and nanocomposites processed by severe plastic deformation (SPD). Her work includes processing of metals and alloys through the application of SPD techniques and characterizing the (bulk and micro) mechanical properties at both ambient and high temperature ranges. She has received an Early Career Award from the Korean Institute of Metals and Materials in April 2016, and received a NanoSPD Young Researcher Award at the 7th International Conference on Nanomaterials by Severe Plastic Deformation (NanoSPD7) in July 2017. She looks forward to living in an area with lots of trees and beautiful natural landscapes.